Situated on the Mediterranean coast of Africa between Algeria and Libya, Tunisia encompasses portions of the Atlas Mountains and Sahara Desert. Tunisia is a Muslin country with traditional values. 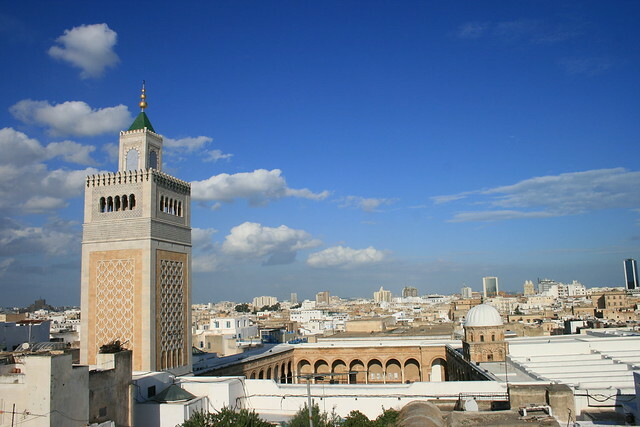 While travelers do not have to follow Muslim dress codes while in Tunisia, it is more acceptable to be modest and travelers will be denied entrance to holy sites if they are not properly dressed. Arabic is the official language of Tunisia and the second most common language is French as Tunisia was a French protectorate as recently as the 1950s. There are few English speakers in the country, however, there are concentrations of them in popular tourist areas. If you are would like to Arabic, many language schools offer summer courses for those interested in extensive travel in Tunisia. The U.S. State Department urges travelers to use caution and closely monitor the political situation in Tunisia as there has been unrest in the region, particularly Libya, recently. Violence can erupt with little or no warning, especially at political demonstrations. There are also some refugee camps in Tunisia on the border with Libya while Libyan citizens await repatriation after fleeing recent violence in Libya. Tunisia has many historic sites and ruins of Roman, Phoenician, and Byzantine cultures. The ancient city of Carthage remains in ruins north of Tunis. During the Phoenician and Punic periods, Carthage was a major trading hub, part of an empire that stretched across the southern Mediterranean. 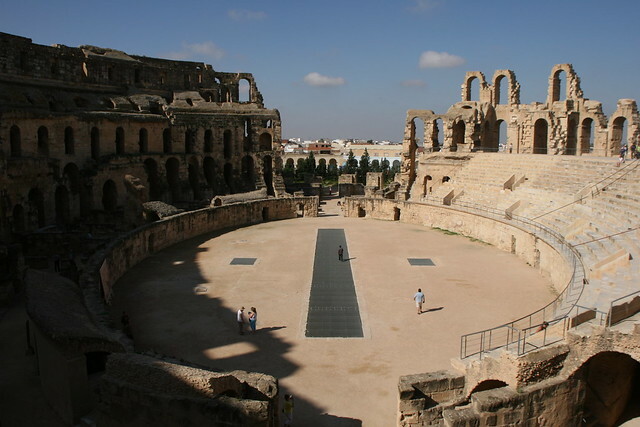 Today, you can tour the Antonin Baths, Basilica of Saint-Cyprien, the Carthage Museum, and several other sites. The Great Mosque of Kairouan is one of the oldest places of worship in the Islamic world. The massive mosque is still a working place of worship and all people of Muslim faith are welcome. 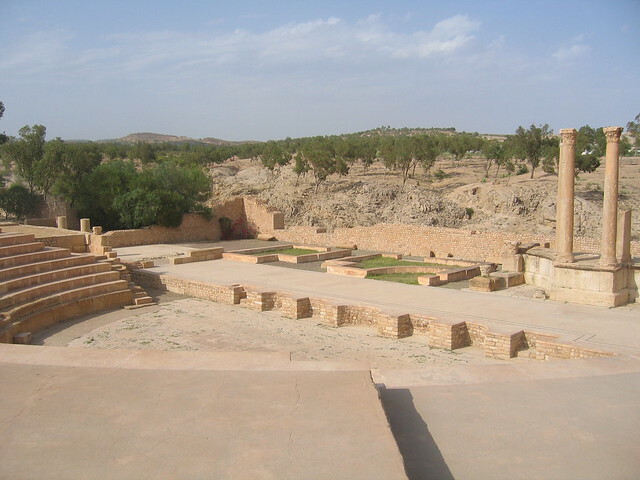 Non-Muslims can enter through the main gate to view the flagstone courtyard and surrounding buildings, but are not allowed inside the prayer hall. White sand beaches on the Mediterranean and vast expanses of desert studded with sand dunes mark the landscape of Tunisia. 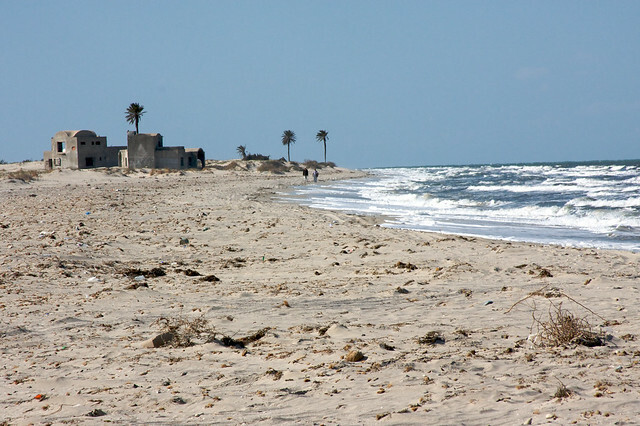 Southern Tunisia is hot and dry, especially in the Saharan desert, while northern Tunisia is temperate and Mediterranean with hot summers and cool, wet, winters.